How crazy can the digital currency world get? A mad dictator says he is going to launch his own e-currency. 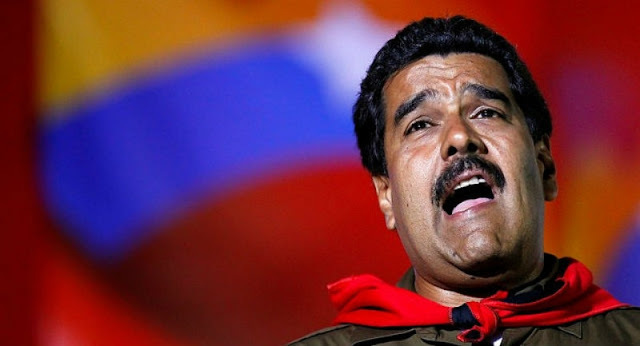 Venezuelan President Nicolas announced on Sunday the launch of the “petro” a Venezuelan digital currency that he claims will be backed by oil reserves and other commodities, reports Reuters. What is the point of a crypto-currency that is backed by physical assets? And doesn't it take time and effort (computing effort) to create crypto-currencies (i.e., you can't just create them by fiat)? I gotta be honest here, from my subjective value standpoint and my initial thoughts on the subject, I'd have more "faith" in a digital currency tied to a specific physical commodity if it was properly structured than I do for digital currency based on "work" done by computer that seemingly has no other value in the physical world. Printed fiat money takes effort too. It takes effort to make dies, inks, cloths, etc. Also, it takes some computing power just to put zeros in on a bank leger. In fact, even though dollars are fiat, at least they are backed by "faith of credit" of a very wealthy country. What are crypto currencies backed by? Not even that! In addition to my previous comment, it may be the cost of dies, paper, and ink that has caused Venezuela to go to crypto currency. I guess they dont have enough trains to ship enough currency to keep up with inflation anymore.